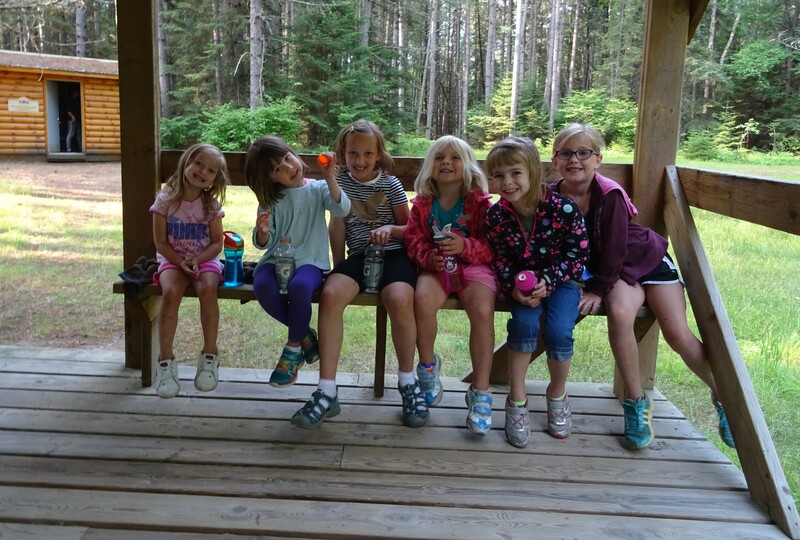 Day Camp is for children ages 4 to 7 and runs Monday – Friday from 7:30 a.m. to 5:00 p.m. Our youngest campers enjoy a great time down by the waterfront, as well as participating in many of the same activities our overnight campers do. We certainly think a day at the lake and on the nature trail beats a day indoors with the babysitter! * Please note all Day Campers must be picked up by 5:00 p.m. or a late pick-up fee will be accessed. If you are unable to pick-up/drop-off your child during the time frame, please contact our camp office. 1) Bring or wear clothing (layers!) for a cool, warm, or hot day. 2) Bring a swim suit and towel for the beach. 3) Bring or wear running shoes and socks. No open-toed shoes are allowed! 4) Bring bedding and/or a sleeping bag and pillow (for Siesta). Children will be laying on camp pads. 5) Bring or wear a light jacket and/or sweatshirt. We also recommend a raincoat. 6) Bug spray – Essential. 8) Water bottle – Essential. 9) Medication ( if applicable).